If you ever catch yourself craving delicious unpretentious Asian (in the case Taiwanese) soul food, you must try Lo Men’s Noodle House. This place is really a hole in the wall along Kantstrasse (among a row of chinese restaurants) in Charlottenburg. Get to Savigny Platz (S-Bahn) and you will be a mere 5 minute walk away from yumminess. The interior of the place will make you feel you have left Germany for sure. It is super simple and really nothing to speak about. Except, that’s probably what a noodle joint on a corner of Taipei’s busy streets looks like (just guessing). Well, we like to think so. The menu centers around Tawanese soul food classics. 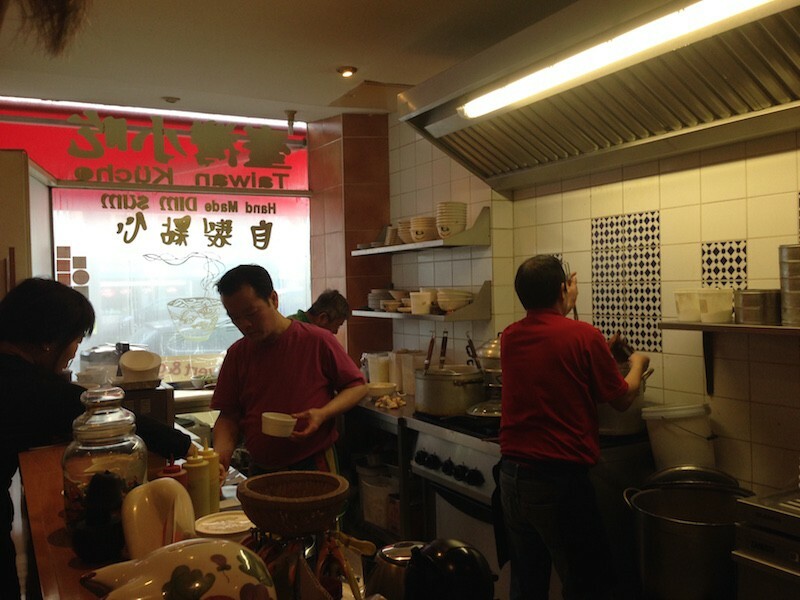 Hand made noodle soups and dumplings of many kinds and tastes. 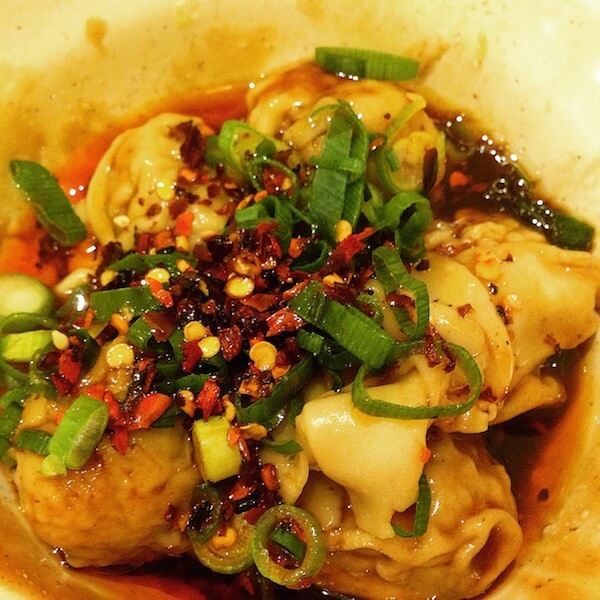 We always order the dumplings in chili sauce (oily and yummy). 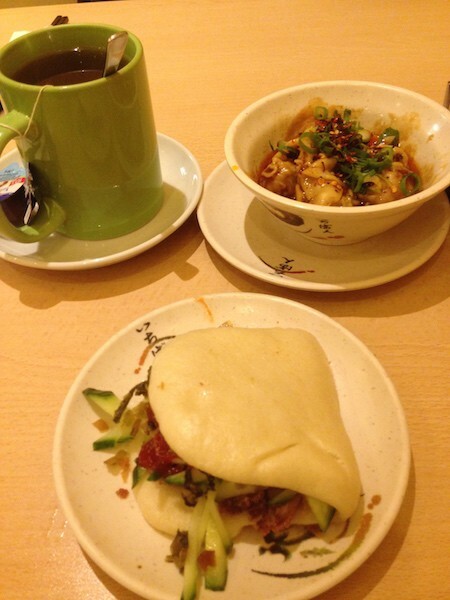 All noodles soups we have tried so far have been delicious. 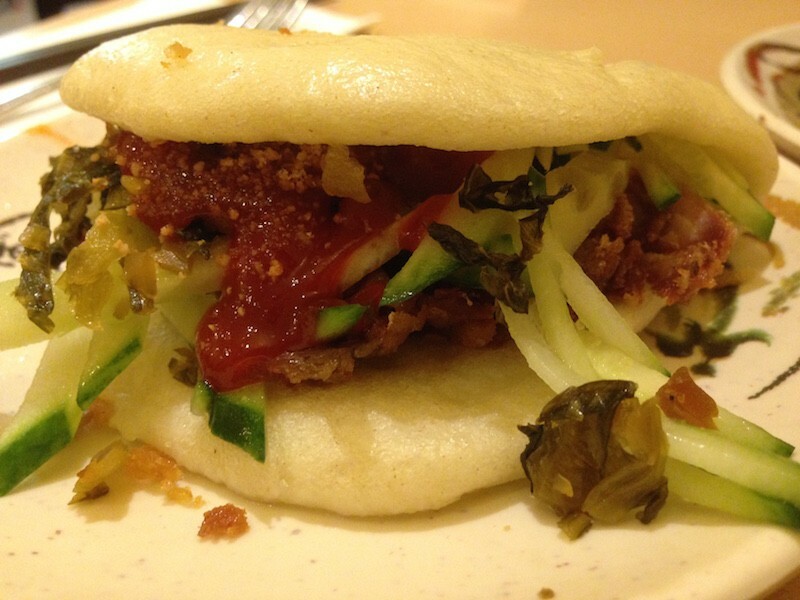 Most recently we tried their Gua Bao with crispy duck and it was delicate and tasty! Around that area there is a very nice design mall (mainly furniture/lighting) called Stilwerk. It is fancy. Check it out. If you’re not into that, just walk along Kanstrasse and explore some of the Chinese knick knack stores. Otherwise get back to Savigny Platz area and explore. It is super cute!